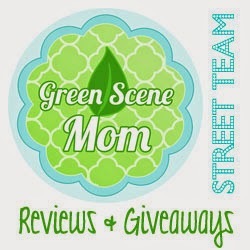 Trying To Go Green: City Grips Review & Giveaway 5 winners! International Giveaway! City Grips Review & Giveaway 5 winners! International Giveaway! This review is from City Grips. They carry handlebar grips for your stroller. Slip CityGrips on your handlebars and when you feel they are getting dirty, throw them in the washing machine & dryer and repeat. CityGrips also protects your grips from wear and tear making it easier to sell or give away. Once you use CityGrips you’ll never want to stroll without them, promise! I was sent their Circle Green – Single Bar which retails for $12.95. Customize your stroller with stylish patterns. 5 winners will win a City Grip of their choice. I reviewed you on Alexa. I sub you on YouTube. I entered your toilet cover giveaway.